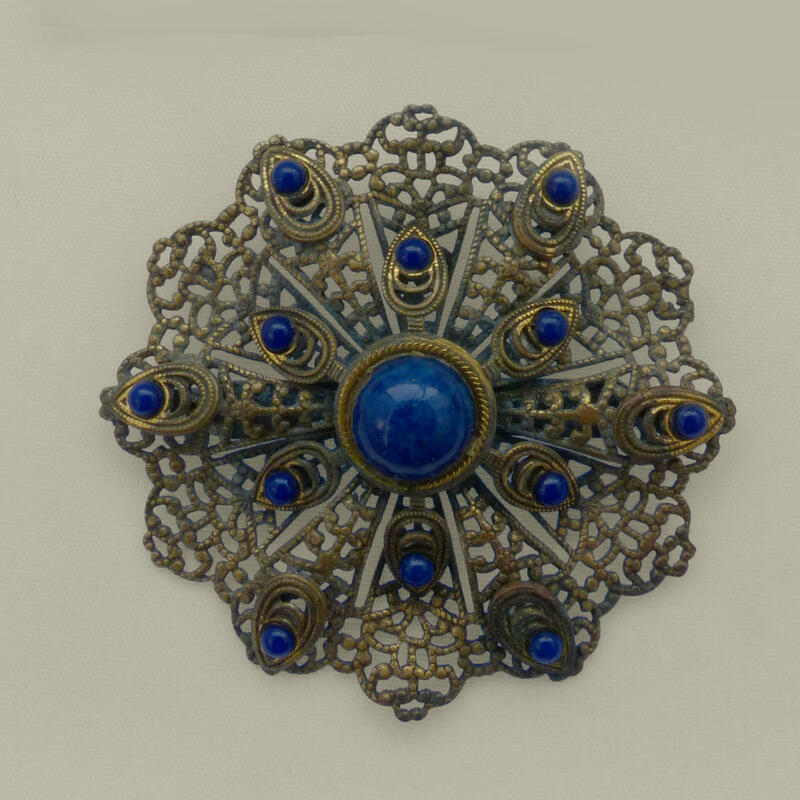 Large layered fligree brooch studded with glass lapiz lazuli cabochons. 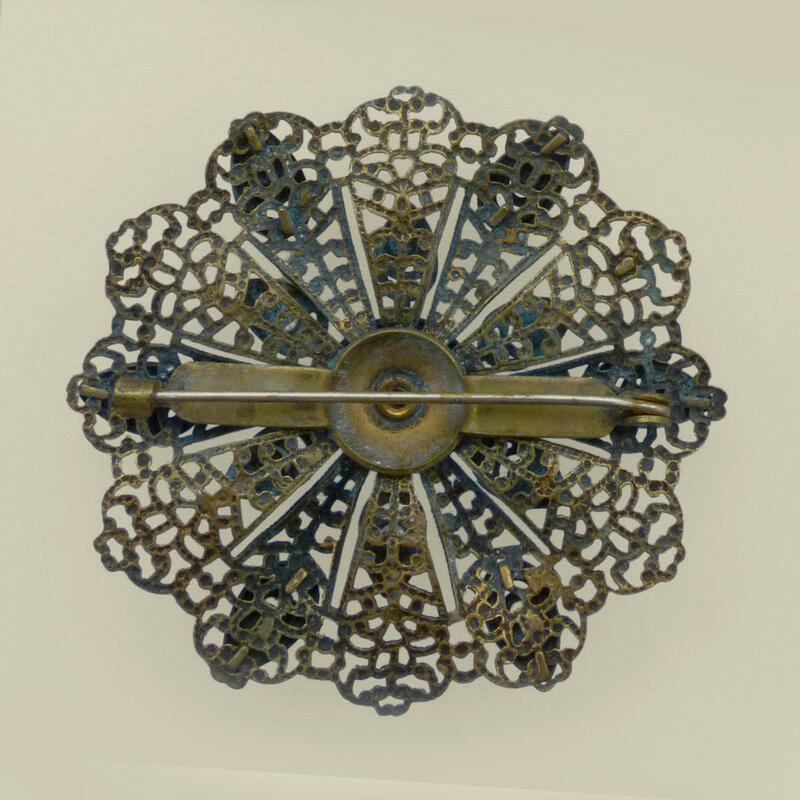 The stamped and strcutured brass is wonderfully enhanced by the rich blue glass cabochons with shimmering specks of aventurine. Plain c clasp.